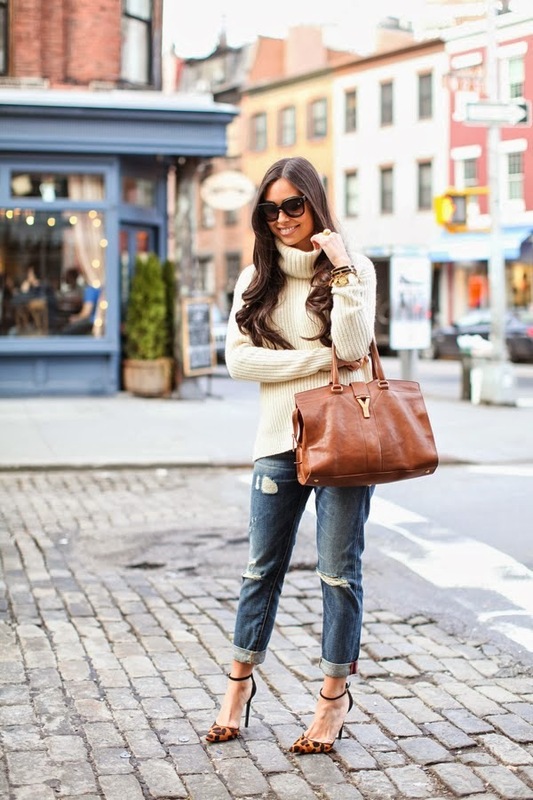 J.Crew Collection turtleneck // Rich & Skinny jeans c/o (similar) Schutz heels (more options below) // YSL bag A cashmere turtleneck with boyfriend jeans is such a cozy, classic combo. Add a fun pair of heels to the mix and you’re ready for brunch with the girls and a day of shopping. I’ve been taking major advantage of the winter sales that are going on this week. Don’t miss out! Stuart Weitzman just marked down the 5050 boots, Tibi just marked down this gorgeous lace dress and this peplum top, and Shopbop just added a ton of new items to their sale section.